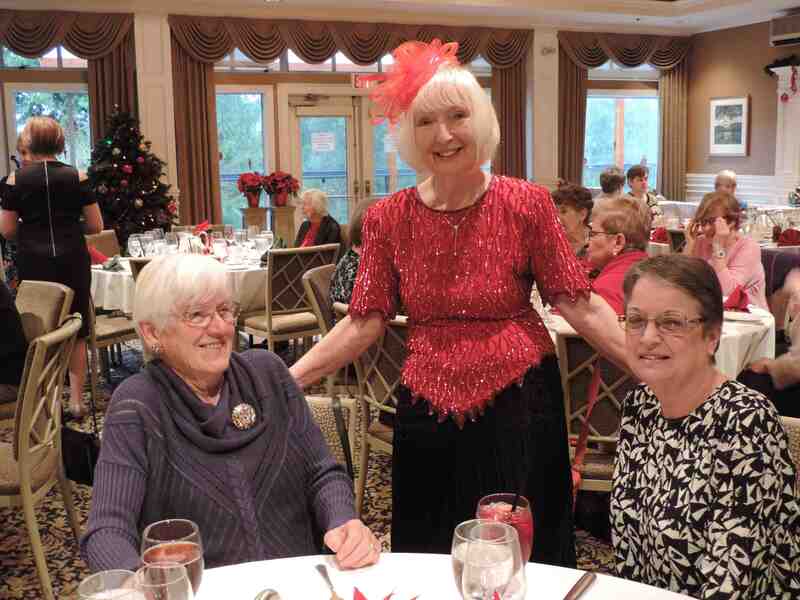 Our annual Christmas lunch was held on Sat 2 Dec 2017 at the University Golf Club. 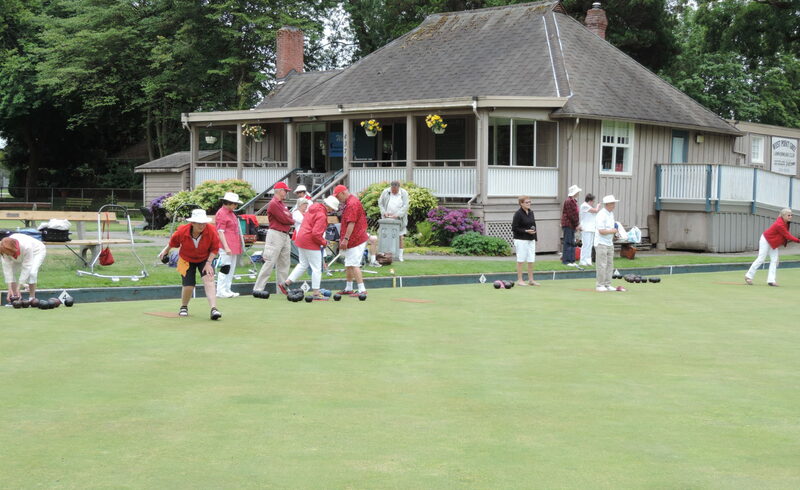 We were joined by members of the Kerrisdale Lawn Bowling Club. A great time was had by all. 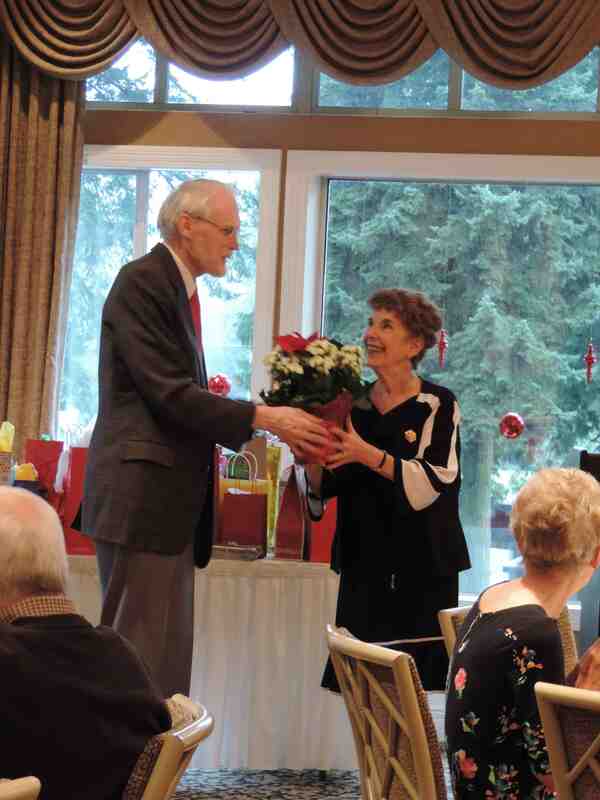 At the lunch, we celebrated the 6 years of excellent leadership provided by our recently-retired President, Cathleen Rowlette. In this photo, our new President, Charles Hou, is giving Cathleen a small gift in commemoration.